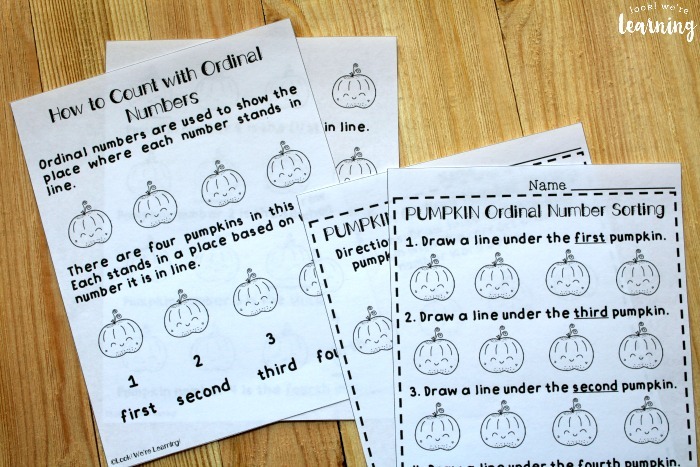 Preschool Worksheets: Pumpkin Preschool Ordinal Number Worksheets - Look! We're Learning! Counting is one of the most important skills kids learn in preschool. But there’s more to counting than just reciting numerals from 1 to 10. Kids also need to learn how to use ordinal numbers to assign sequential order to objects in a line. 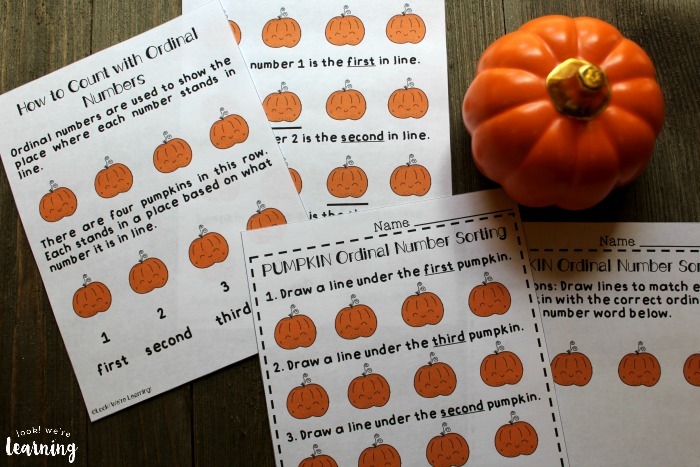 And that’s why I’m excited to share these pumpkin preschool ordinal number worksheets! 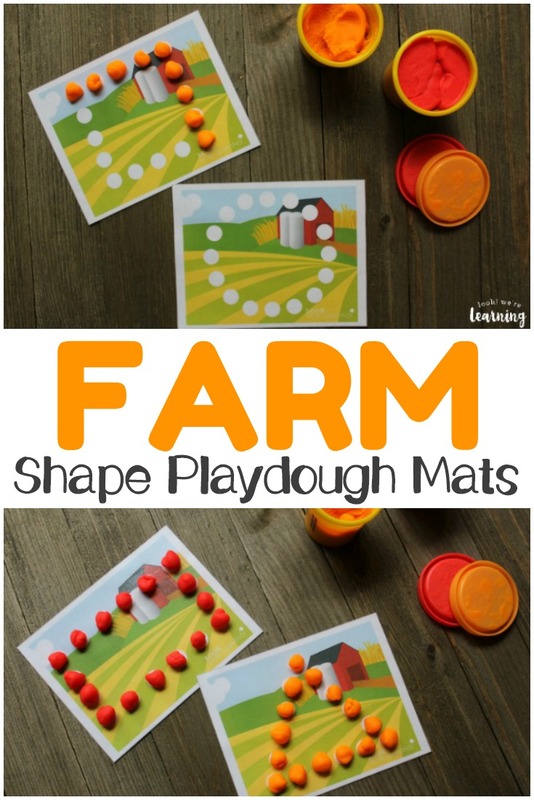 These include a ordinal counting lesson that you can use with early learners who are ready to work with this math concept! 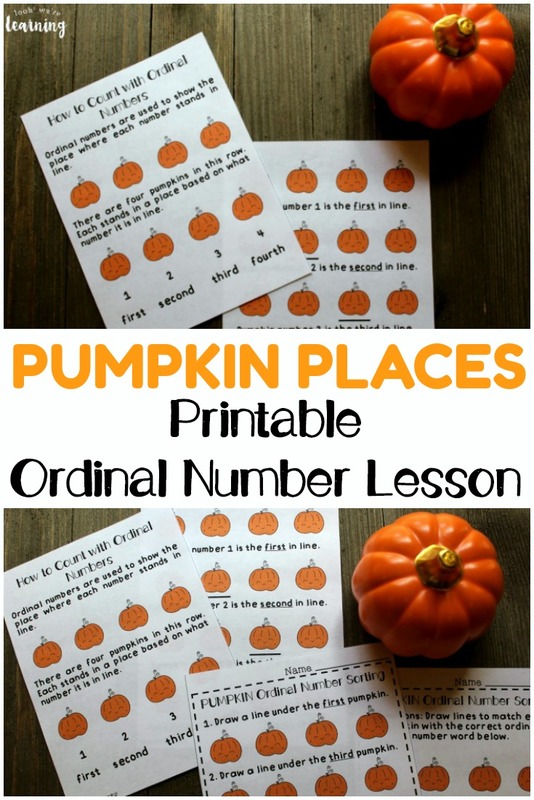 By the way, if you need a little refresher about how to use ordinal numbers, there’s a lesson included that explains how to use these numbers, plus a full answer key! Read on to see how to get your copy! 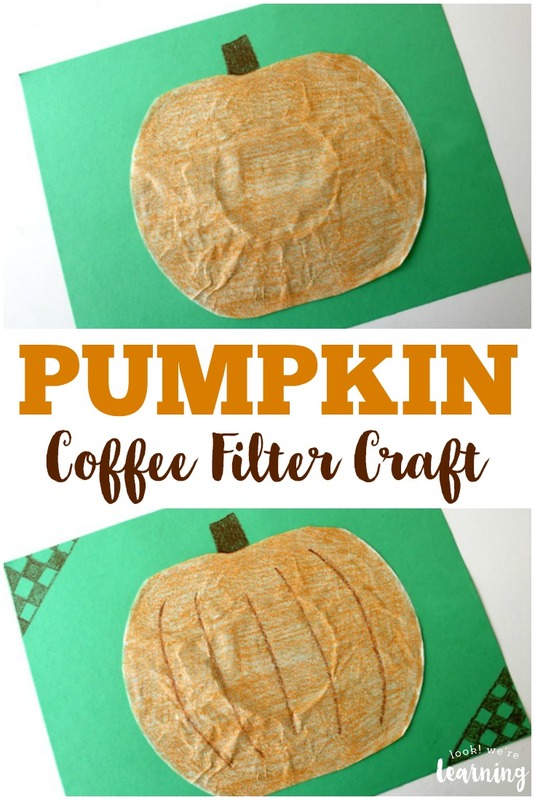 If your kids enjoy these pumpkin printables, try our simple Coffee Filter Pumpkin Craft for a related art project. 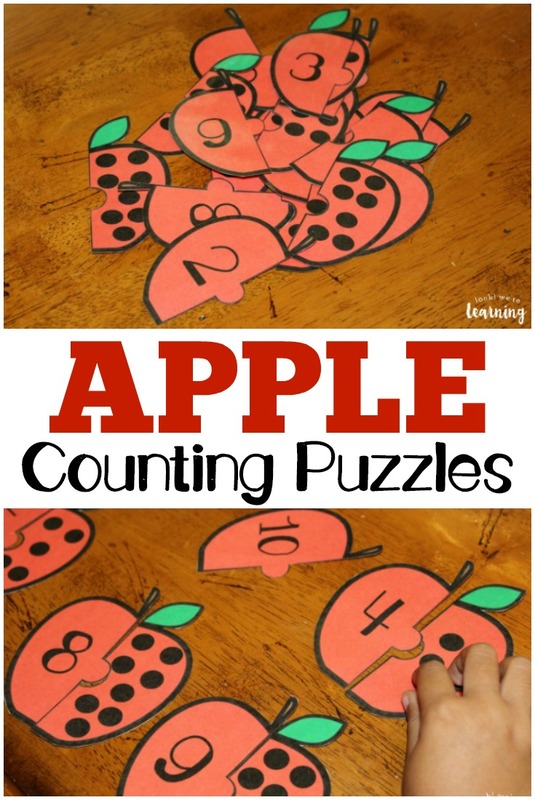 Or add more fall math practice with our Apple Preschool Counting Puzzles! 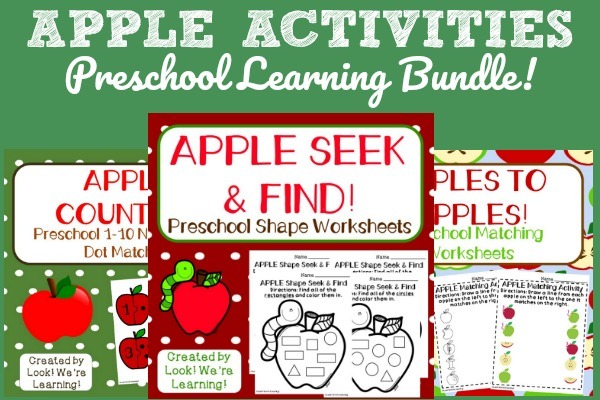 And don’t miss our growing list of preschool worksheets and activities! 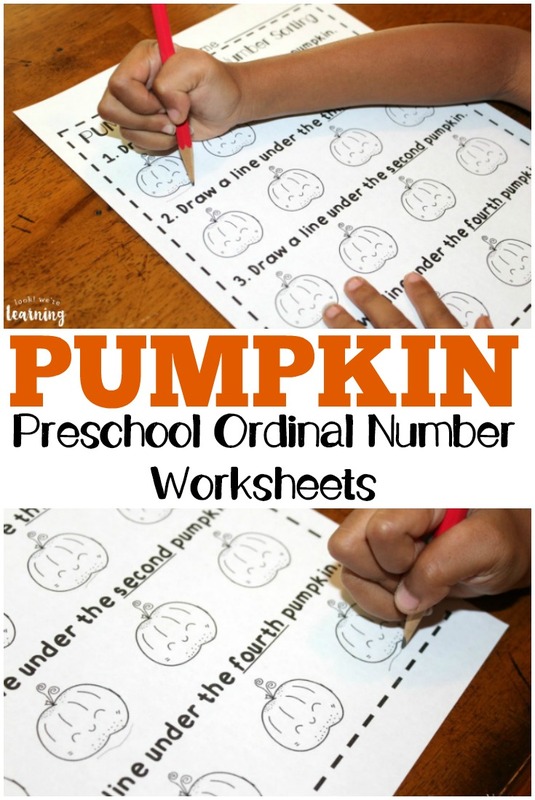 This is a complete math lesson on how to count with ordinal numbers for preschoolers. It begins with a two-page lesson that explains what ordinal numbers are and how they are used in counting. 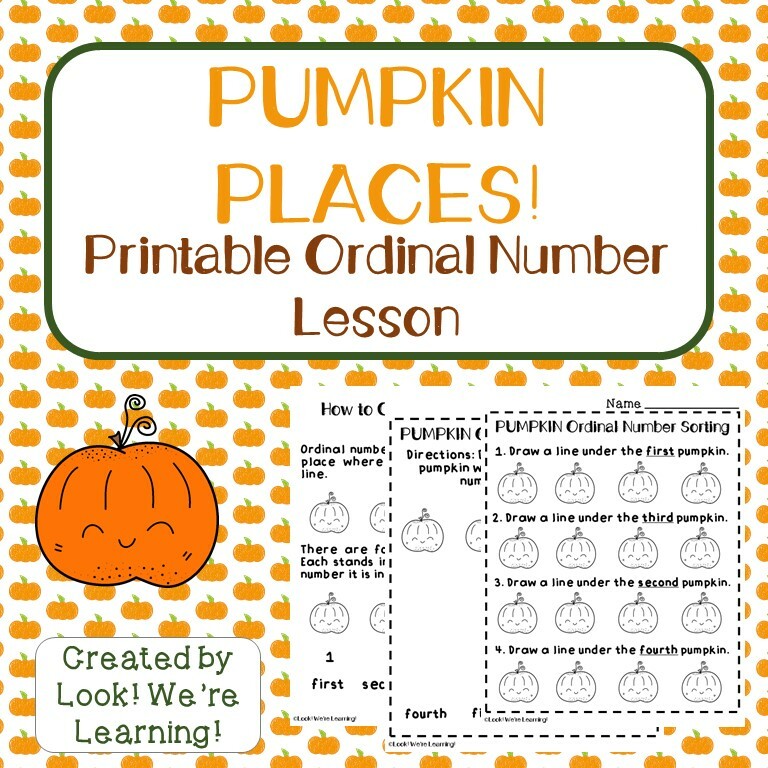 Once you read the lesson with the kids, you can hand out the first ordinal number worksheet. The worksheet follows the same format as the lesson, so kids won’t get confused trying to understand the directions. Since the resource is for preschoolers, the focus is on learning ordinal numbers from first through fourth. 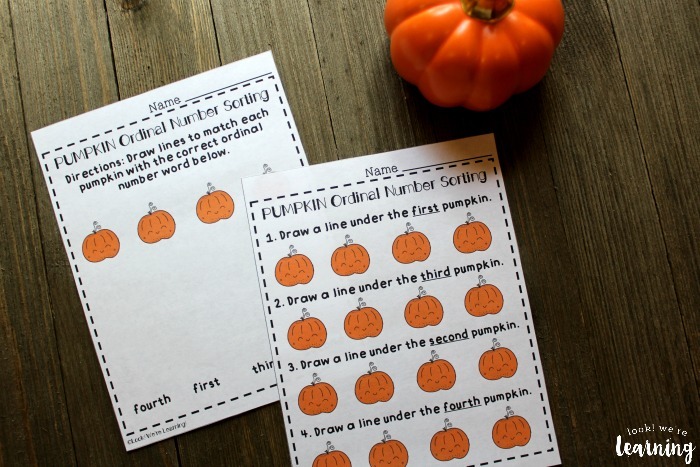 The second worksheet lets kids match up ordinal number words to the place each pumpkin holds. Need to save on ink? Use the line art version, which is also included. Plus, you can have the kids color the worksheets afterward, which is always fun. And there’s a complete answer key too! 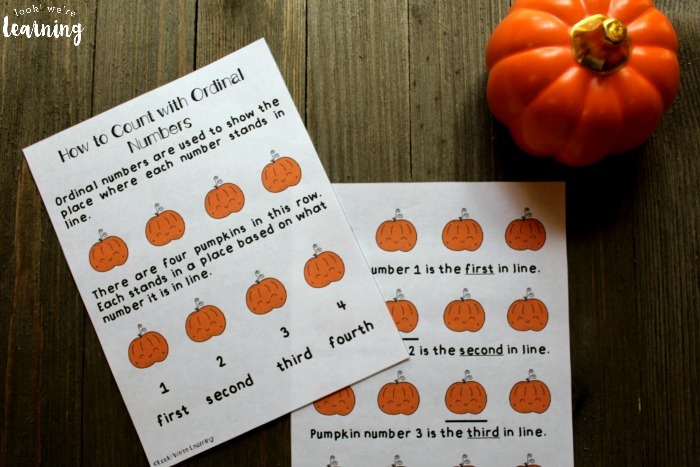 Scroll down to get your Pumpkin Preschool Ordinal Number Worksheets! 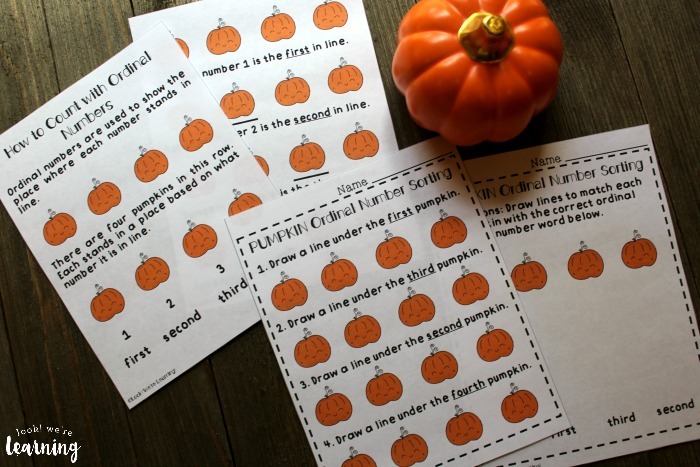 See some of these other fall preschool worksheets and activities! Be sure to follow our Fall Activities for Kids board on Pinterest for more fall learning fun! 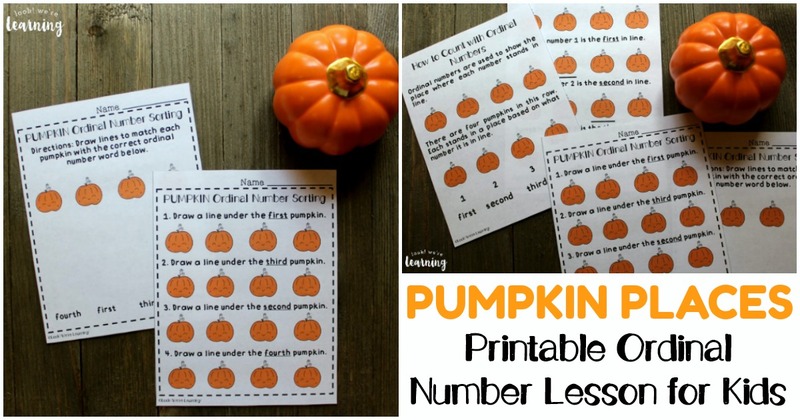 To get your copy of our Pumpkin Preschool Ordinal Number Worksheets, click the image or the link below to visit our Store!